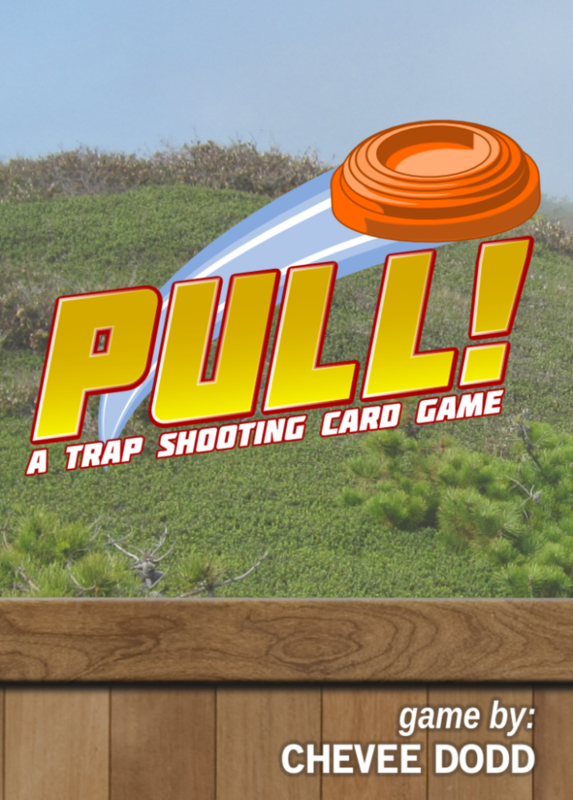 Anyway, I think Pull! 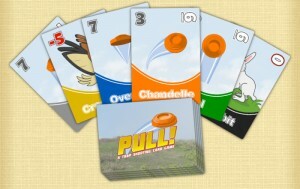 looks like a really clever card game that I’m looking forward to trying. There is a print and play version available for people that want to try it before the buy, unfortunately I’m usually too lazy to put together a PnP game. So what exactly is different between Pull! and the card games we’ve known for years? Let’s take a look. At the start of each hand, the dealer deals each player 10 cards from the Shot Deck and flips over the top two cards of the Target Deck. Each Target is worth a number of points and players take turns playing one Shot card on each Target. The team that plays the highest valued Shot wins the Target and scores the points, but you must play carefully, because shooting the wildlife will cost you! Additionally, if a team scores both Targets, they may receive bonus points. A hand lasts five rounds then points are tallied and recorded. The deal is passed to the left and play continues in this fashion until one team scores a set number of points. I’m always excited to see a designer take on a brand new theme in a game. My game shelf is littered with fantasy, sci-fi and Cthulhu themed games, so when an interesting title crosses my radar that enters a new genre, I usually stop and look. If you’d like to become a backer, a $16 pledge will get you a copy of the game and any stretch rewards. 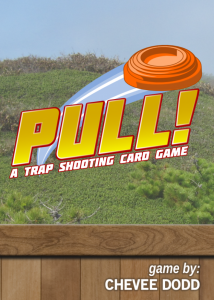 Pull! is scheduled to be in backer’s hands in September of 2014 and you have until Tuesday, May 20th to become a backer. So head over today and check it out.